Each week we spend a lot of time analyzing the local market which is important to study even though we all know we don’t operate in a bubble. We’ve always maintained that our market is influenced by the state and national economy, tourism, interest rates, taxation, and markets up North among other things. So let’s take a look at the national market. Fortunately RE/MAX publishes a national housing report. RE/MAX collects data on 53 metro housing market including markets such as Chicago IL, Providence RI, Miami FL, Boise ID, Phoenix AZ, Detroit MI, Pittsburgh PA, Los Angeles CA, San Francisco CA, Denver CO, Orlando FL and several others which should give a pretty good cross section of the country. The monthly study compares data from the previous month and from the previous year. 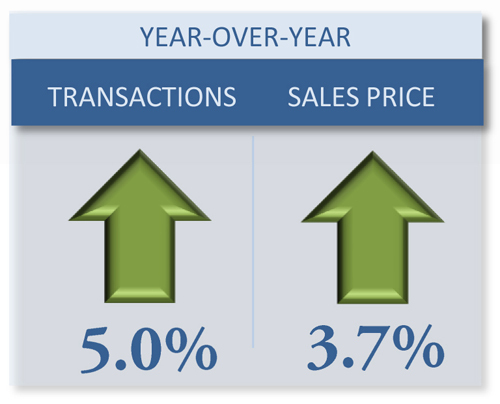 This month’s report shows transactions nationwide are up 5% over last year and median prices are up 3.7% from $163,995 last June to $170,067 this June. 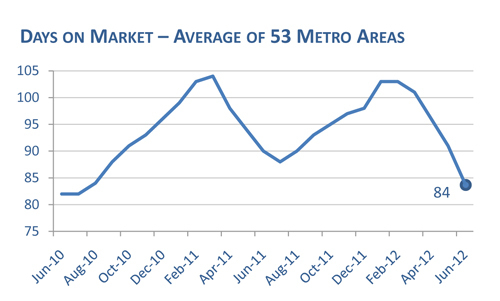 Days on the market for homes sold dropped significantly to 84 days in the 53 metro markets. This is down 8 days from May 2012 and down 6 days from June 2011. 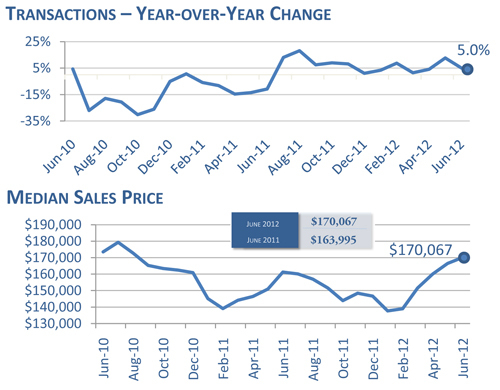 Inventory nationwide has dropped significantly which is forcing buyers to compete with other buyers. All this news could be good news again for SW Florida. Last season many buyers came down and looked at properties, and several bought. We had an excellent season. Others needed to go back home, sell a property and get their finances in order before they could make the move to SW Florida. Still others want to take out an equity loan against their Northern home to purchase a second home down here. In any event, lower inventory and rising prices help our Northern friends who are interested in purchasing down here. And it helps next year’s crop who will visit our area. They’ll have more confidence in the market up North which can spur many of them to also consider a move to SW Florida. Baby boomers aren’t getting any younger and sometimes the only thing standing in their way is having a house to sell or borrow against before purchasing. This bright housing report helps in that regard. Having election results out of the way in November may help as well. There is much uncertainty in Congress and the White House. Will we have national health care? Will big cuts go into effect in certain markets Jan 1? Will taxes go up on small business owners? Will companies ship US jobs overseas because it’s too expensive here in the US? Hopefully many of these answers will come in November and next season will be good as well. What happens in the US economy influences the national real estate market. Taxes influence the market. Capital gains rates are set to go up in January which could hurt the market. We have so many things at stake in November that will influence every one of us in various ways. Florida truly is a trickle down state. What happens up North affects us down here. We’ll keep studying the local market, and occasionally we’ll report on the national scene as well simply because it matters. If it matters to you, it matters to us. In the meantime things are looking up. Let’s keep the momentum going. We like the direction. Good luck and Happy House Hunting! We thought since we know so many of the very top and most experienced agents nationwide it would be great if we could post market updates from around the country. Here is a list of market updates you might find useful. We post these without regards to company affiliation. These agents are known for doing a great job in their market. Posted in Cape Coral Real Estate, Fort Myers Real Estate, Southwest Florida Real Estate.Tagged National Real Estate Market Improving.